Another “red sky” issue that has little to do with MILLENNIUM. 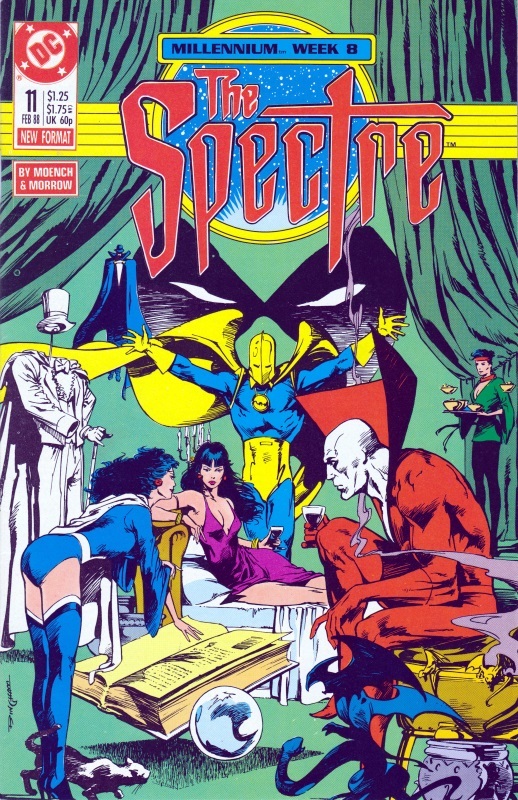 Various magical heroes including the Spectre, Dr Fate, Zatanna and Madame Xanadu meet at the Spectre’s house to discuss what they should do over the next thousand years while they wait for mankind to evolve. At the same time, a group of magicians elsewhere use magic to tap into the power in the house that is the result of the Spectre having killed several people there. When the Enchantress is forced by the second group to levitate the entire house, planning to send it crashing into a gay rights demonstration, the heroes band together and block the magicians’ spell, saving the house and everyone else. As shown in MILLENNIUM #8, Harbinger left the Chosen, unable to accept being part of the group. As she flies around the globe wondering what she can do and how she can have a normal life, she is attacked by the last few remaining Manhunter androids. Starfire of the Teen Titans witnesses the attack and joins in, helping Harbinger defeat them before the pair speak, Starfire convincing Harbinger that just because she had made mistakes in the past, those mistakes did not define her. 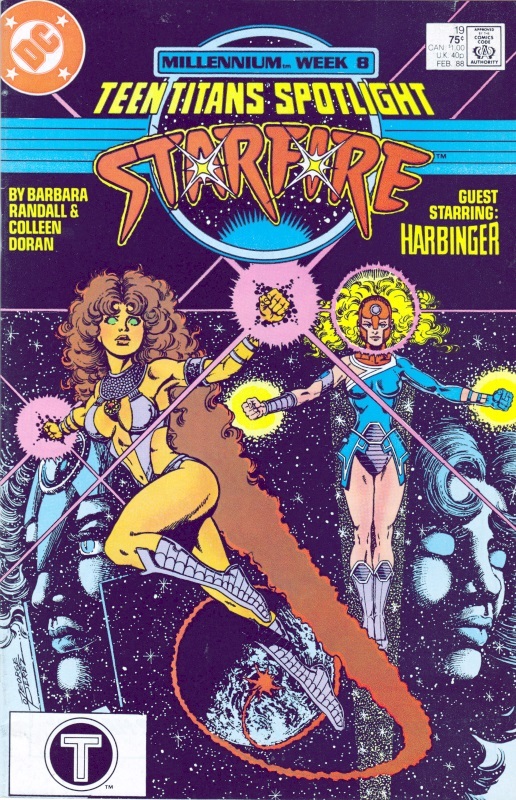 When a single, larger Manhunter attacks, Starfire allows Harbinger to attack and defeat it on her own, knowing she has to overcome her fears by herself. With that done, Harbinger returns to the New Guardians.